Andy James is widely regarded as one of the U.K.'s top rising stars in the world of shred and metal guitar. Inspired by the hard rock sounds of Guns N' Roses and Van Halen as a youth, James studied Music Business, Performance, and Music Technology at College of West Anglia, in England. He has released three solo albums and is the lead guitarist for the band Sacred Mother Tongue. 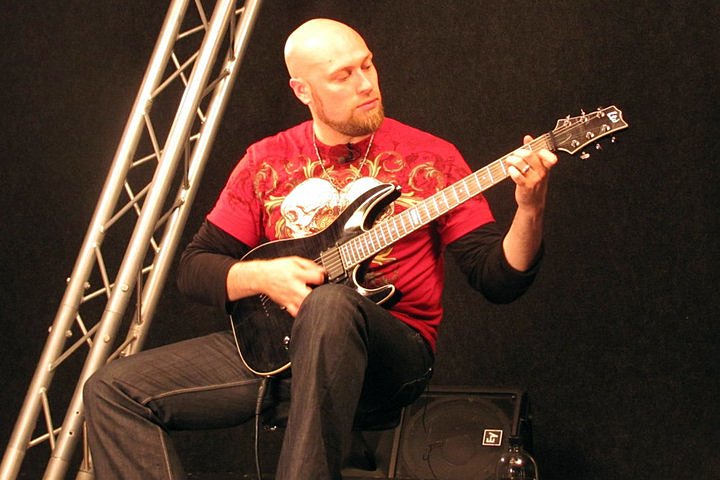 In addition to his career as a performing and recording artist, James has filmed several instructional guitar DVDs and conducts workshops and clinics all across the globe. To learn more, visit AndyJames.com.